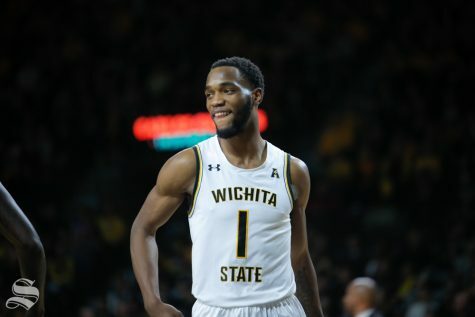 Wichita State senior Markis McDuffie smiles after making a play during the game against Cincinnati on Jan. 19, 2019 at Charles Koch Arena. (Photo by Joseph Barringhaus/The Sunflower). 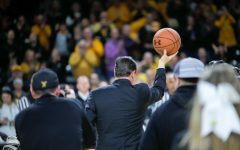 The Shockers are continuing to push through a transition period with Marshall’s youngest class in his coaching career. But now, past the midpoint in the season, much of the team has played 300 or more minutes. 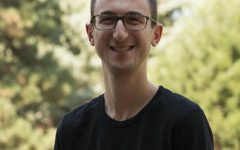 “At this point, you’ve had enough basketball experience, so you don’t need to wait until next year to say that you’re a veteran,” Marshall said of his players. 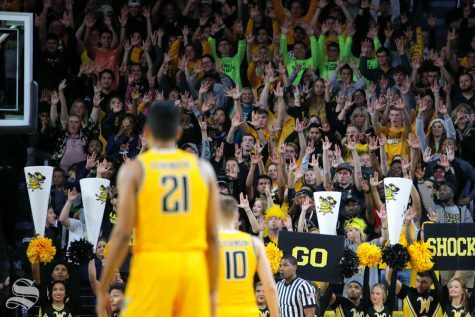 WSU’s record in December features the worst loss in Marshall’s tenure — a 32-point smoldering by Oklahoma — a three-game non-conference winning streak, a four-game losing streak in American Athletic Conference play, and a win against the AAC’s best team. 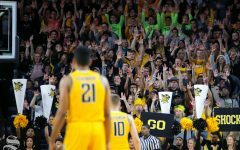 “We were horrendous in our execution,” Marshall said when the Shockers shot just 24 percent from the field against Oklahoma. 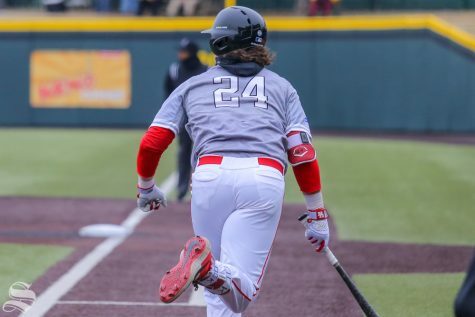 WSU’s devastation was met with resolve after beating Central Florida, ending a 28-day drought. 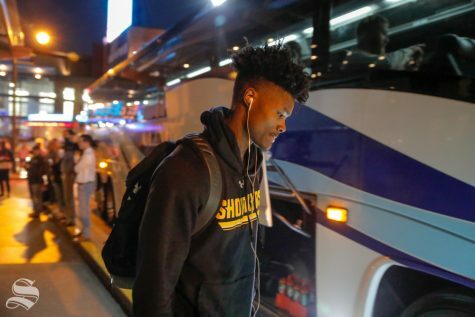 “We’ve always been a good team — we just had to get over the hump,” Markis McDuffie said following a game players described as similar to winning a championship. But WSU hasn’t fully gotten over the hump, so to speak. The Shockers have lost five of their last six games. Tuesday’s loss at USF was one of the lowest-scoring games in program history. Markis McDuffie interviews Chance Moore during media day on Oct. 16, 2018. 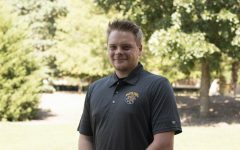 Chance Moore announced his departure from the men’s basketball team in mid-December. Moore announced his transfer from the program after what Gregg Marshall described as disagreements on playing time. Moore committed to play for Washington State. Sophomore Ron Baker drives towards the basket during Sunday’s afternoon game against Davidson inside Charles Koch Arena. 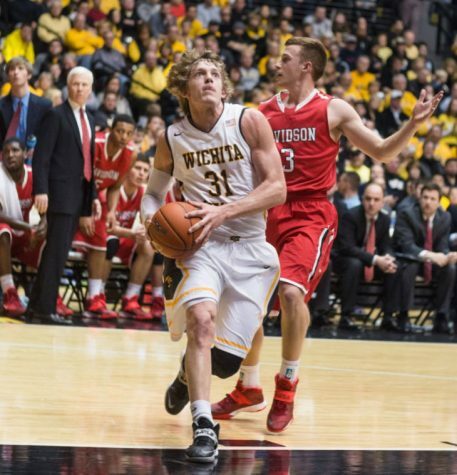 Ron Baker scored 15 points and led the team with five assists as the Shockers are undefeated with a record of 13-0. Former Shocker Ron Baker is out of a job. On Dec. 13, the New York Knicks waived Baker to sign two-way player Alonzo Trier to the 15-man rotation. Baker was then signed by the Washington Wizards six days later. The Wizards waived Baker on Jan. 7, less than a month after the Knicks cut him. 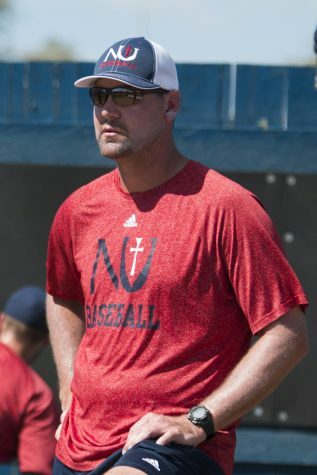 Newman University Pitching Coach Mike Pelfrey watches his pitchers throw during practice. Pelfrey was a pitcher for Wichita State until he was drafted after his junior year in 2005. 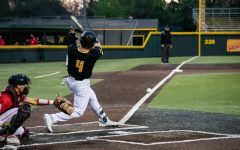 The Athletic Department announced that former Shocker ace Mike Pelfrey will take over pitching coach duties this season. Pelfrey replaces ex-pitching coach Mike Steele, who announced his departure less than six weeks prior to the start of season. Pelfrey was an All-American pitcher under Head Coach Gene Stephenson, who was inducted into the WSU Hall of Fame over break. Pelfrey was the ninth overall pick in the 2009 MLB draft. He played for 12 seasons in the majors. 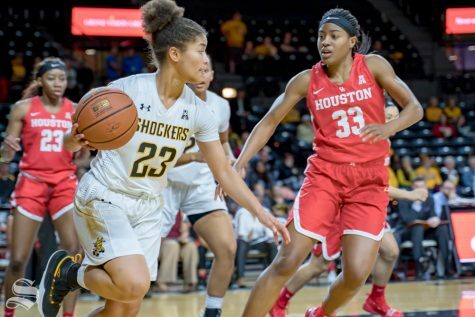 Wichita State freshman Seraphine Bastin looks to pass during their game against Houston on Jan. 20, 2019 at Koch Arena. 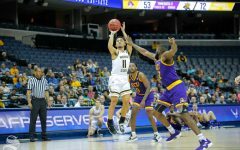 The women’s basketball team is yet to win a conference game, five games into AAC play. 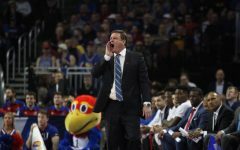 The team is losing conference games by an average margin of 20 points per game, but a bright spot may soon approach. 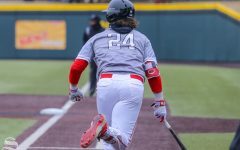 WSU’s immediate schedule features mostly teams ranking in the bottom-half of the conference standings, including Temple — also winless in conference play. Keitha Adams and Co. have a month to game-plan before hosting one of the sport’s most prolific programs, UConn, on Feb. 26.